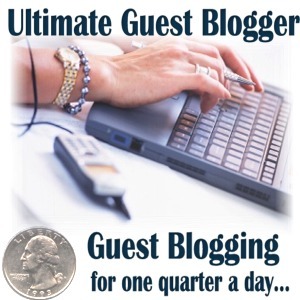 Most have you have arrived here after signing up as a Blog Owner on Ultimate Guest Blogger. For those who have not done so, you can sign up for free to accept guest posts on your website here. Without further ado, let’s get started on the instructions of how to configure your website to accept guest posts using Ultimate Guest Blogger. This process should take no longer than 5 minutes. Steps 1 and 2 apply to WordPress sites only. Non-WordPress websites may begin with step 3. Note: The user does not have to be named guest. Step 2: Enable Remote Posts. In your WordPress Admin panel, under “Settings”, click “Writing”. On this page, select the check box next to “Enable the WordPress, Movable Type, MetaWeblog and Blogger XML-RPC publishing protocols.” Then, save changes. Step 3: On your blog owner configuration page, fill out the following information: add your blog/website title, give a short description of your site, enter the URL of your site (for WordPress users, this must be your exact blog URL. If you are unsure, visit “Settings”, “General” and note what it says under “WordPress Address (URL)”). And, finally, WordPress users only should enter the guest user id and password that you created above. Step 4: Click the Enter/Update Data button if you have not done so already. Step 5: Copy the Submit Guest Post link below to your website in a spot where everybody can see. Note: This link only works for people visiting from your site–it’s exclusive to you! Thus, the link to your guest post page only works if you access it from your website! It’s best to add it in a widget or header.php file so that it appears on every page. Want more? There is no more. That’s it. Did you make it in under 5 minutes? All guest blog posts will be put into the default category. This is usually “uncategorized” which should never be used. We recommend changing this to Guest Posts. To do this, create a category called Guest Posts. Then, set it to be the default category by doing the following: Choose Settings | Writing | Default Post Category (Change to Guest Posts). Make sure to save your settings. If you have any problem with accepting guest posts on your site, let us know on our contact form and we’ll help you out. We haven’t had too many questions because this solution is so simple and effective. However, if you have questions, we’ll answer them! Please post your questions in the comments and we’ll get to them as soon as possible. No, all posts are published as drafts. You will receive an email and a notification on your blog owner page when a guest post has been submitted. You will then be able to easily publish the articles. How will I know when someone has submitted a post to my blog? As mentioned above, the post will appear on your blog owner page. We also email you when someone has submitted a guest post to your blog. Great piece of software thanks very much, will follow up with comments on progress and usage. Regards, Ray. Okay...I think I've done everything correctly...just a little stumped on inserting the link to my guest post page. I tried creating a menu but I don't think that's it. I don't know how to get it into my header. Don't see an option for inserting a link. Thanks so much.